Roberto Martinez resisted the temptation to put a fast winger onto ageing baldy Branislav Ivanovic down Chelsea’s problem right side, instead opting for the grafting skill set of Mohammed Besic in Tom Cleverley’s left midfield spot. Chelsea restored Terry to the visitor’s rickety defence whilst there was also a start for Mikel, presumably to ‘bolster’ midfield, whatever that means. Martinez previously selected Besic on the left against Liverpool away last season, but he was largely ineffectual and rarely crossed the half way line, thus on paper this appeared perhaps a tad cautious from RM. The plan seemed to be to stay in the game as long as possible and then bomb on after break with the plethora of attacking options we had on the bench. The result was something completely different, as Everton stuck up their middle finger to all concerned with a swashbuckling, high energy opening half hour against the Champions. The unfortunate Besic’s cameo ended in woe – as it did 12 months ago against the same opponent- this time pulling up with a hamstring injury after a collision with Zouma. Martinez opted for the only snide for snide replacement open to him, with Naismith joining the action down the left flank, and it was down this channel that a lot of the damage was done. The strategy was to play with a ‘low block’ inviting Chelsea to push us high up, meaning spaces behind Terry co were aplenty when we won the ball back. 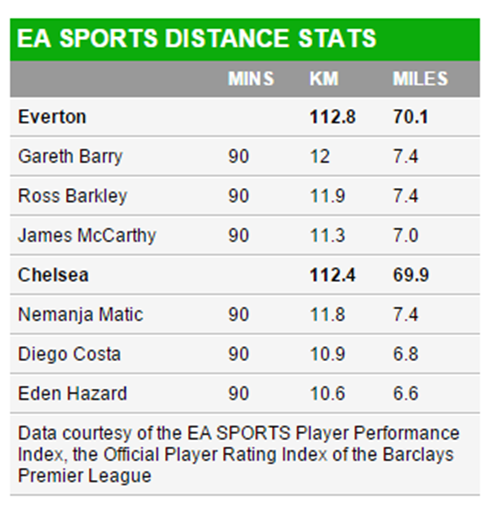 Gareth Barry continued his run of covering more distance than any of his colleagues in every league game this season. Much maligned midfielder Gareth Barry won the most tackles and blocks for us, and his endeavour off the ball was instrumental in coordinating pressure in the Toffee engine room. On the ball, his pass through the inside left channel to Lukaku was our most frequent pass combination of the game, and often the trigger for rapid counter attacks. 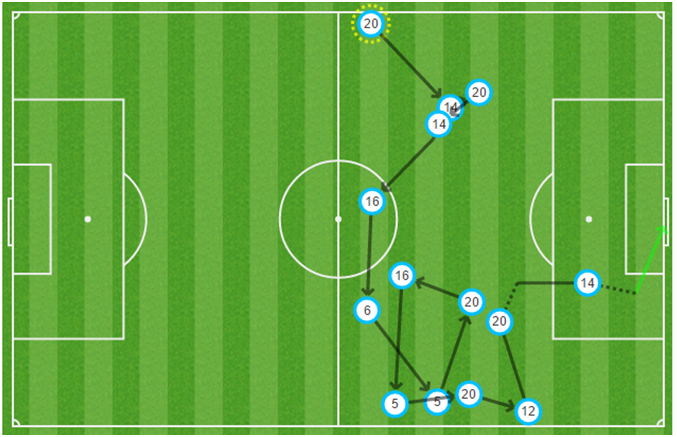 Firstly a slick 9 man, 19 pass move, which started with Tim Howard ended with Naismith, opened the scoring. 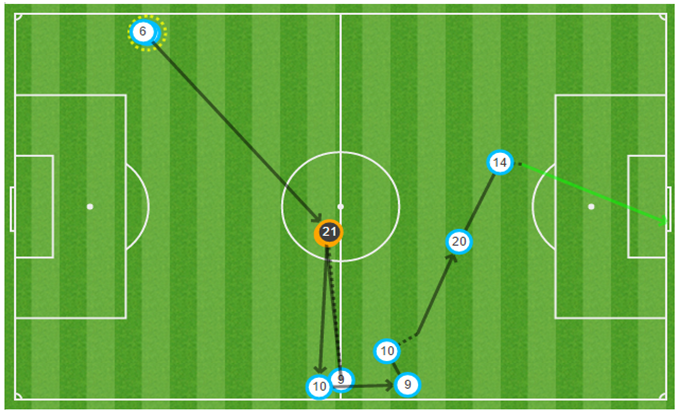 Brendan Galloway’s role was crucial here, interchanging passes with the Scot before whipping in a lovely cross that his teammate superbly dispatched with his head, aided and abetted by Zouma and Matic politely ignoring his run. Before you could say THIS ONES FOR YOU MATT LAW, it was two-zip, and again it was Naismith. This time Lukaku interchanged passes with Kone down our right flank, set Barkley free who teed up Naismith to expertly drill home from 20 yards. 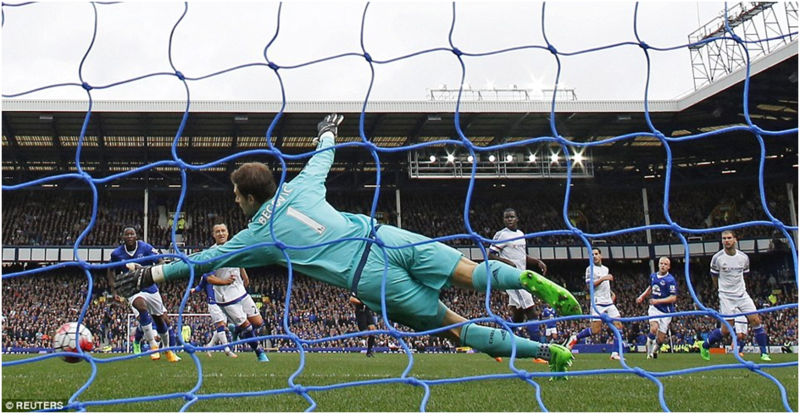 In between goal number two Kone and McCarthy could have done more damage, with Begovic saving smartly from both to keep the score respectable. Chelsea ended the half in the ascendancy, however, and Matic plundered an absolute shalacker to half the arrears on 36 minutes, meaning there was still plenty of work for us to do after the break. Rather than retreat further, Everton’s backline actually moved up 10 yards to form a ‘medium block’ after the break, with Naismith and Kone tucking in well from the flanks to help compress the middle of the park. 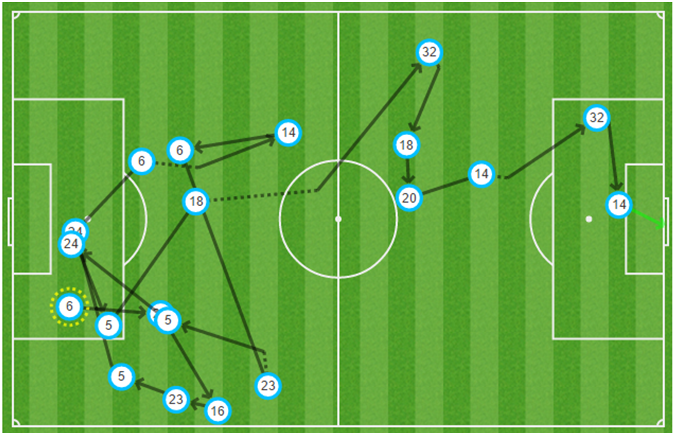 Chelsea’s swell of possession grew, but it was largely in non-threatening areas. Indeed, barring a flurry of corners they rarely opened us up, with Howard having his quietest afternoon of the season. 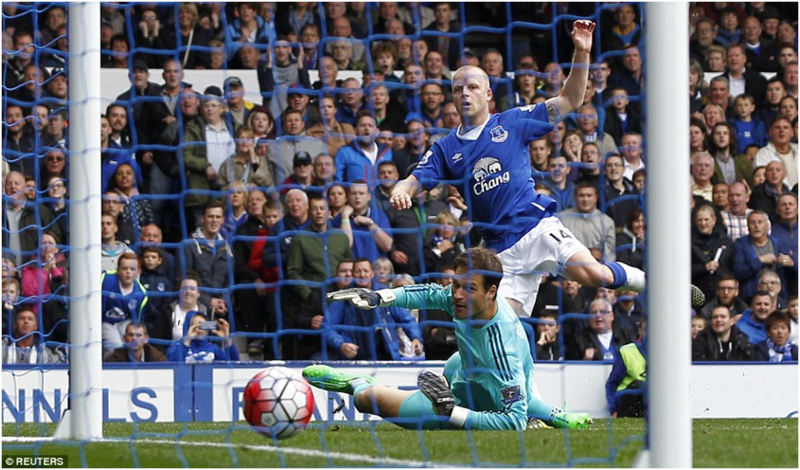 The final act of Naismith’s three card trick was again instigated by the burgeoning Barkley.Credit to the youngster here, he created more chances and won more fouls than anyone on the pitch – it was a display of the highest order. This time he was the architect of a scintillating 7 man move, and in doing so collected his 2nd assist of the day and 3rd of the season. After some great work down the left, Barkley rejoined the move on the opposite flank, then played an ace one two with Lennon before teeing up Naismith for the coup de grace. It was only the sixth ever hatrick from a top flight sub since football was invented in 1992, and the first scored by an Everton player against Chelsea since Dixie. The Scot’s finishing was sublime, but equally so was his trademark work rate and snide factor off the ball, with a game high of six fouls underlining his status as the game’s chief-groc, ahead of benchmark piss boiling reptile Diego Costa. This was a richly deserved win for the mighty Toffemen, and there was some real stand out displays from Martinez young pups, notably from Galloway, Barkley and Stones, however this display and the goals we scored was all about the collective. Credit to Martinez, too. You could argue that he got it wrong by not starting Naismith, but ultimately we’ll never know what would have happened if Besic wouldn’t have gone off. In a nutshell he got his gameplan bang on. Bravo!